While it is more often associated with Bitcoin and other cryptocurrencies, blockchain technology has also been explored for data storage and protection in a range of different industries. Along with charity and supply chain, the healthcare sector is among the most discussed use cases. But what aspects of blockchain make it suitable for healthcare? Some of the features that allow cryptocurrency blockchains to act as a secure record of financial transactions are also applicable to storing medical data. Since most blockchains are designed as distributed systems that record and protect files through the use of cryptography, it is extremely difficult for someone to disrupt or change the data without having the approval of all other participants of the network. Therefore, immutability is one of the features that enable the creation of incorruptible databases for medical records. 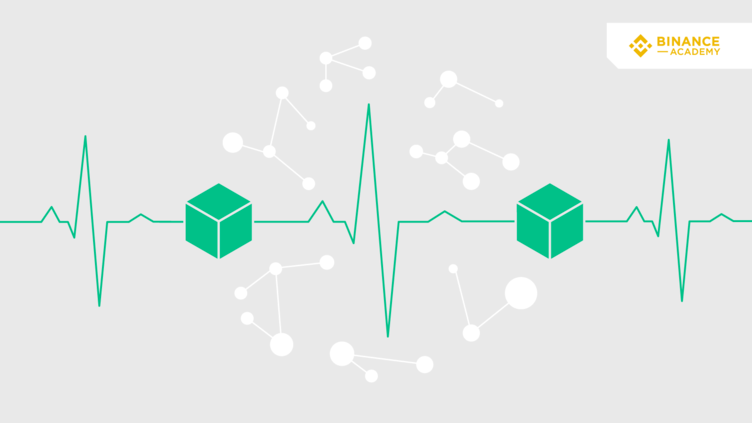 Moreover, the peer-to-peer architecture used in blockchains allows all copies of a patient's record to be synchronized with one another as updates are made, even though they are stored in different computers. In fact, each network node holds a copy of the entire blockchain, and they communicate regularly to ensure data is up to date and authentic. Thus, decentralization and data distribution are also important aspects. It is worth mentioning that blockchains are distributed but not always decentralized (in terms of governance). Decentralization is not a binary thing, so depending on how nodes are distributed and on the overall architecture, distributed systems may present variable degrees of decentralization. In the context of healthcare, blockchains are usually built as a private network, as opposed to the public ones that are typically used as cryptocurrency ledgers. While anyone can join and contribute to the development of a public blockchain, private versions require permission and are managed by a smaller number of nodes. As mentioned, one of the most important use cases of blockchains in the healthcare industry is leveraging the technology to create a secure and unified peer-to-peer (distributed) database. Thanks to blockchains’ immutability, data corruption should no longer be a concern. The blockchain technology can be used to effectively register and track the medical data of thousands of patients. Unlike traditional databases that rely on a centralized server, the use of a distributed system allows for data exchange with higher levels of security, while also cutting down on the administrative costs that the current system imposes. The decentralized nature of blockchains also makes them less vulnerable to technical failures and external attacks that often compromise valuable information. The security provided by blockchain networks can be particularly useful for hospitals, which are often dealing with hacker invasion and ransomware attacks. Another advantage of blockchain-based medical records is their ability to enhance interoperability among clinics, hospitals, and other health service providers. Technological differences in data storage systems often make it difficult for organizations to share documents. Blockchains, however, can solve this problem by allowing authorized parties to access a unified database of patient files or even medicine distribution records. So rather than attempting to interface with each others' internal storage, service providers can work together on a single one. In addition to simplifying the process of record sharing, blockchain systems may also give patients increased levels of accessibility and transparency over their own health information. In some circumstances, requesting for the validation of changes made to patients’ documents can ensure the accuracy of the records, and if employed properly, this kind of verification can provide an extra layer of security against both human error and intentional falsifications. Blockchains can provide a reliable method for tracking pharmaceuticals through the entire manufacturing and distribution process, thus cutting down on the widespread problem of drug counterfeiting. In conjunction with IoT devices used to measure factors such as temperature, blockchain technology could also be used to verify proper storage and shipping conditions or to authenticate drug quality. Blockchain could also be used to combat medical insurance fraud, a problem which is estimated to cost the American healthcare system around $68 billion each year. Immutable records stored on blockchains and shared with an insurance provider can prevent some of the most common types of fraud, including billing for procedures that never took place and charging for unnecessary services. Another use of blockchain in healthcare is to improve the quality and effectiveness of clinical trials. Medical data on blockchains could be used by trial recruiters to identify patients who could benefit from the drugs being tested. Such a recruitment system could greatly improve clinical trial enrollment, as many patients are never made aware of relevant drug trials and therefore are never given an opportunity to participate in them. While trials are conducted, blockchains can be used to ensure the integrity of the data being collected. Although it offers many advantages to both patients and providers, blockchain still has some obstacles to overcome before it eventually reaches widespread adoption in the medical sector. Taking the US as an example, healthcare companies that are interested in adopting blockchain technology are required to comply with existing data regulations, such as the Health Insurance Portability and Accountability Act of 1996 (HIPAA). Basically speaking, HIPAA outlines standards for data storage, sharing, and protection in the healthcare sector. So in order to be fully compliant, US-based companies would need to deploy customized blockchain record systems, with increased privacy features and limited accessibility. On the provider end, blockchain solutions are likely to involve a high initial investment, a fact that certainly prevents wider adoption. In addition, distributed systems tend to be significantly slower than centralized ones in terms of transactions per second. A big blockchain network, with numerous nodes, would probably need more time to transmit and synchronize data when compared to centralized systems. This is especially concerning for huge databases that would eventually need to store and track information of millions of patients. The problem would be even worse for large sized image files, such as computed tomography or MRI scans. From creating and sharing immutable medical records to increasing transparency in the pharmaceutical supply chain, blockchain networks have several promising use cases in the healthcare sector. Though there are some technical, logistical, and regulatory challenges, the implementation of these systems will likely play a significant role in the future of medical data storage and transfer.